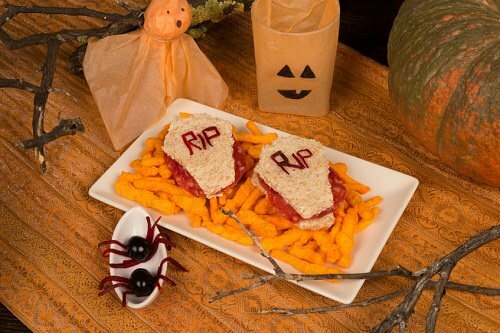 To create Halloween bites Use ghost, witch and pumpkin cookie cutters to cut out your sandwiches. You can make any kind of sandwich and turn it into a themed lunch by using the cutters. Of course, parents get to eat the remaining crusts.